The new Sailor Moon anime is a second adaptation of the original manga, starting over from scratch. Starting in July, one of the most well known groups of magical girls will be back to fighting evil by moonlight. After delays, the new Sailor Moon anime celebrating the 20th anniversary of the series has been confirmed to premiere this July. The new TV series was scheduled to premiere summer 2013 after its announcement a year earlier. The new anime is based on the original manga by Naoko Takeuchi and is not a remake of the first anime. Sailor Moon producer Atsutoshi Umezawa said in a press release, "This second anime adaptation of Bishojo Senshi Sailor Moon is not remaking that previous anime, but adapting [Takeuchi's] original manga and starting from scratch again. It is quite a project. The entire staff has been working hard to show everyone an entirely new Bishojo Senshi Sailor Moon, so please look forward to it." The anime is in production under Toei Animation, the company behind the first Sailor Moon anime as well as One Piece. The idol group Momoiro Clover Z will perform the series' theme song. 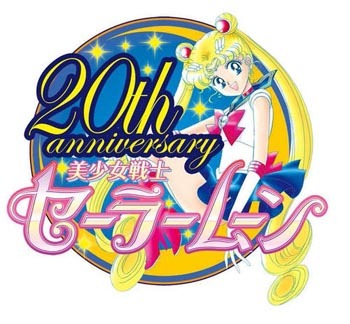 The anime is a part of the series' 20th anniversary project. The manga was first published in 1992 and has since expanded into anime, live-action TV, and musical adaptations. The new Sailor Moon anime will stream worldwide in July via Niconico. It will be subtitled in 10 languages.